Participants must register by January 13, 2015. 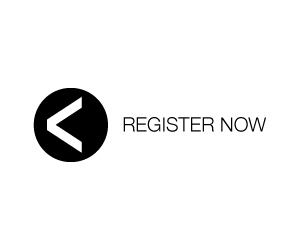 Early Registration: USD $95 until November 18, 2014. Late Registration: USD $115 from November 19, 2014 to January 13, 2015. This is a digital competition and no hardcopies are necessary. Entrants must submit their proposal no later than January 27, 2015 (23:59 hours US Eastern Time). 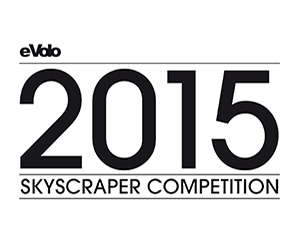 Registered participants will receive instructions to upload their submission to the competition’s dropbox. Two boards with the project information including plans, sections, and perspectives. Participants are encouraged to submit all the information they consider necessary to explain their proposal. These boards should be 24? (h) X 48? (w) in HORIZONTAL format. The resolution of the boards must be 150 dpi, RGB mode and saved as JPG files. The upper right corner of each board must contain the participation number. There should not be any marks or any other form of identification. The files must be named after the registration number followed by the board number. For example: 0101-1.jpg and 0101-2.jpg. Massimiliano Fuksas is the founder of Studio Fuksas with offices in Rome, Paris, Vienna, Frankfurt, and Shenzhen. From 1998 to 2000 he is Director of the VII International Architecture Exhibition in Venice: Less Aesthetics, More Ethics. He has been Visiting Professor at several universities including: Ecole Speciale d’Architecture in Paris, the Akademie der Bildenden Kunste in Vienna, the Staadtliche Akademia des Bildenden Kunste in Stoccarda, and Columbia University in New York. Since 2000 he is the author of the architectural column founded by Bruno Zevi in the weekly magazine L’Espresso. Michael Hansmeyer is an architect and programmer who explores the use of algorithms and computation to generate architectural form. Recent projects include the Sixth Order installation of columns at the Gwangju Design Biennale, as well as the the design of full-scale 3D printed grotto for the 2013 Archilab exhibition. He is currently based in the CAAD group at Swiss Federal Institute of Technology’s architecture department in Zurich. He holds a Master of Architecture degree from Columbia University and an MBA degree from INSEAD Fontainebleau. He previously worked for J.P. Morgan, McKinsey & Company, and at Herzog & de Meuron architects. Richard Hassell graduated from the University of Western Australia in 1989. He was awarded a Master of Architecture degree from the RMIT University, Melbourne, in 2002. He formed WOHA as a partnership with Richard Hassell in 1994. Since then, the partnership has won a large number of local awards, and an unprecedented amount of international awards. WOHA won the Aga Khan Award for Architecture in 2007, they collected two awards each at the 2011 and 2010 RIBA International Awards, as well as the prestigious 2011 Lubetkin Prize from the RIBA. He is currently a board member of Singapore’s Urban Redevelopment Authority’s (URA) Design Advisory Committee and the Housing and Development Board (HDB) Architectural Design Panel. He has served as a board member of the Building and Construction Authority of Singapore, as well as committees for the URA and the Design Singapore Council. He is currently an adjunct professor at the University of Western Australia. Alvin Huang, AIA is the Founder and Design Principal of Synthesis Design + Architecture. He is an award-winning architect, designer, and educator specializing in the integrated application of material performance, emergent design technologies, and digital fabrication in contemporary architectural practice. Alvin received a Master of Architecture and Urbanism from the Architectural Association Design Research Laboratory (2004) in London and a Bachelor of Architecture from the University of Southern California (1998) in Los Angeles. His work has been widely published and exhibited and has gained international recognition, including being selected to represent the UK at the Beijing Biennale in 2008 along with numerous awards including a 2014 ACSA New Faculty Teaching Award, 2014 ACSA Faculty Design Award (Honorable Mention), 2014 AIA Small Projects Award, 2014 Autodesk Small Business Innovation Award, 2013 Time Magazine’s 20 Best Inventions of the Year, 2013 AIA|LA NextLA Design Award, 2013 AIA California Council Merit Award, and 2009 D&AD Award for Environmental Design. Alvin is currently an Assistant Professor at the USC School of Architecture in Los Angeles, Co-director of the Architectural Association Visiting School Los Angeles, and Co-chair of the 2014 ACADIA Conference. Yong Ju Lee is a Seoul-based architect. He received a Bachelor of Architectural Engineering from Yonsei University in Seoul and a Master of Architecture from Columbia University in New York City. His research focuses on the use of parametric design in architecture to achieve new aesthetic and structural vocabularies based on the use of mathematic information. Yong Ju Lee currently is Faculty at Yonsei University in Seoul. Wenchian Shi graduated from Delft University of Technology in 2002 with a Master in Architecture and specialised in Urban Design. After working with the Office for Metropolitan Architecture and Kuiper Compagnons, she joined MVRDV in 2003. As project manager, she has been leading MVRDV’s major projects in Southeast Asia which include the TEDA housing and commercial development in Tianjin, built in 2009, Xinjin Water City in Chengdu and the winning competition designs for Gwanggyo Power Center in Seoul, South Korea, and the China Comic and Animation Museum in Hangzhou. Wenchian is currently overseeing the construction a CBD office and commercial district next to Hongqiao airport in Shanghai due for completion in 2015; No. 1 Art Zone in Nanjing which consist of a museum, a hotel, a cinema and design studios; and a shopping mall in Beijing. Renske van der Stoep is an architect and project manager at MVRDV. She graduated from the Building Academy Rotterdam with a Master in Architecture in 2004. She joined MVRDV in 1998 as an assistant designer, then worked at Concrete Architect, HvdN architects and Inbo, Amsterdam, and returned to MVRDV in 2006. As project manager, Renske is in charge of national and international competitions and projects of various scales and scopes. She is currently overseeing the construction of the Market Hall in Rotterdam, a mixed-use building which combines housing, market stalls, shops and parking, due for completion in fall 2014. Next to this, she is in charge of the projects for a warehouse transformation in Hong Kong, a tennis club house, both under construction, and a flagship store in Amsterdam. She was treasurer of the BNA Rijnmond region (Royal Institute of Dutch Architects) from 2008 to 2013. She regularly lectures at international institute and universities, and is currently teaching at the Willem de Kooning Academy in Rotterdam. Wong Mun Summ graduated with Honours from the National University of Singapore in 1989. He formed WOHA as a partnership with Richard Hassell in 1994. Since then, the partnership has won a large number of local awards, and an unprecedented amount of international awards. WOHA won the Aga Khan Award for Architecture in 2007, they collected two awards each at the 2011 and 2010 RIBA International Awards, as well as the prestigious 2011 Lubetkin Prize from the RIBA. He is a board member of the Singapore Land Authority and the Board of Architects’ Design Panel. He was a board member of Singapore’s Urban Redevelopment Authority (URA) from 1999 to 2005. He also served on the International Design Consultancy for the Waterfront at the Downtown at Marina Bay, and as a member of URA design advisory panels for such projects as the Singapore Sports Hub, the Marina Barrage, and the Integrated Resort at Marina Bay. Benedetta Tagliabue studied architecture at the Istituto di Architettura di Venezia (IUAV) and currently acts as director of the international architecture firm EMBT Miralles Tagliabue, founded in 1994 in collaboration with Enric Miralles, based in Barcelona and, since 2010, in Shanghai. Her studio works in the fields of Architecture, design of public spaces, rehabilitation, interior and industrial design. Her work received the RIBA Stirling Prize in 2005, the National Spanish Prize in 2006, the Catalan National prize in 2002, City of Barcelona prize in 2005 and 2009, FAD prizes in 2000, 2003 and 2007. She recently won the 2013 RIBA Jencks Award, which is given annually to an individual or practice that has recently made a major contribution internationally to both the theory and practice of architecture. In the teaching field, she has been a visiting professor at Harvard University, Columbia University, and Barcelona ETSAB, lecturing regularly at architecture forums and universities, and is part of jurors around the world, e.g. the Príncipe de Asturias awards. In 2004 she received an honorary doctorate from the Faculty of Arts and Social Sciences, Edinburgh Napier University, Scotland. Winners and special mentions will be published in several print magazines including eVolo_09.